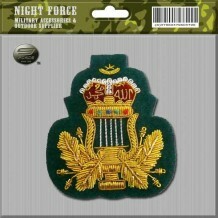 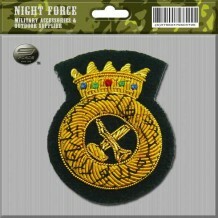 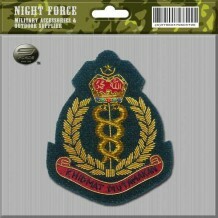 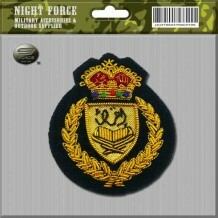 Name: WO2 1Dress Code: 0014020017 SIze: 5cm x 6cm Weight: 100 gram Color: black ..
Name: Band HUB Green Code: 0011020010 Size: 5cm x 6cm Color: Green ..
Name: CAPBADGE Officer 1Dress Code: 0011020012 Size: 5cm x 6cm Weight: 100 gram Color: black ..
Name: CAPBADGE Officer Berat Armor Code: 0010020022 Size: 5cm x 6cm Color: Black (No. 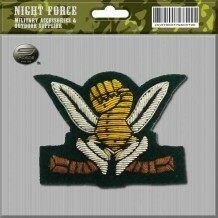 Tentera diperlukan) ..
Name: CAPBADGE Officer Beret KAGAT Code: 0010020024 Size: 5cm x 6cm Color: black (No. Tentera diperlukan) ..
Name: CAPBADGE Officer Beret KJLJD Code: 0010020011 Size: 5cm x 6cm Color: black (No. Tentera diperlukan) ..
Name: CAPBADGE Officer Beret KKD Code: 0010020023 Size: 5cm x 6cm Color: black (No. 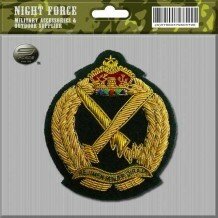 Tentera diperlukan) ..
Name: CAPBADGE Officer Beret KPD Code: 0010020013 Size: 5cm x 6cm Color: Black (No. 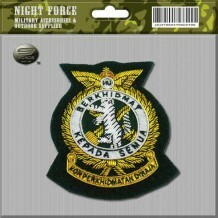 Tentera diperlukan) ..
Name: CAPBADGE Officer Beret KPTD Code: 0010020025 Size: 5cm x 6cm Color: black (No. Tentera diperlukan) ..
Name: CAPBADGE Officer Beret Ordnand Code: 0010020016 Size: 5cm x 6cm Color: black (No. 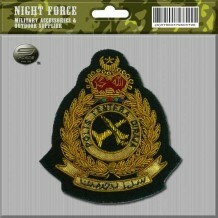 Tentera diperlukan) ..
Name: CAPBADGE Officer Beret RAMD Code: 0010020010 Size: 5cm x 6cm Color: black (No. 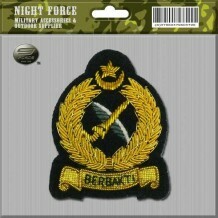 Tentera diperlukan) ..
Name: CAPBADGE Officer Beret Renjer Code: 0010020020 Size: 5cm x 6cm Color: black (No. 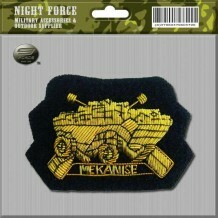 Tentera diperlukan) ..
Name: CAPBADGE Officer Beret RISIK Code: 0010020018 Size: 5cm x 6cm Color: balck (No. 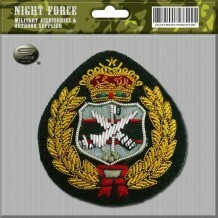 Tentera diperlukan) ..
Name: CAPBADGE Officer Beret RS Code: 0010020015 Size: 5cm x 6cm Color: black (No. 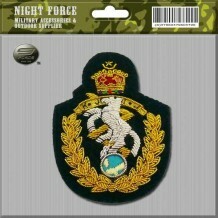 Tentera diperlukan) ..
Name: CAPBADGE Officer Beret RSD Code: 0010020012 Size: 5cm x 6cm Color: black (No. 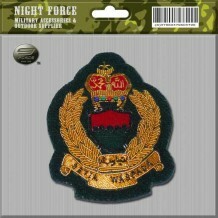 Tentera diperlukan) ..
Name: CAPBADGE Officer Beret Wataniah Code: 0010020017 Size: 5cm x 6cm Weight: 100 gram Color: black ..
Name: CAPBADGE Officer Cap Jurutera Code: 00100200141 Size: 5cm x 6cm Color: Black (No. 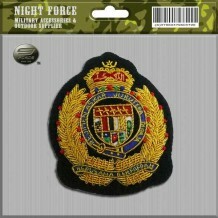 Tentera diperlukan) ..
Name: CAPBADGE Officer KRS Code: 0012020011 Size: 5cm x 6cm Weight: 100 gram Color: black ..
Name: CAPBADGE Officer Peak Cap Armor Code: 00100200221 Size: 5cm x 6cm Color: black (No. 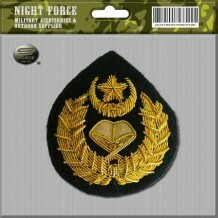 Tentera diperlukan) ..
Name: CAPBADGE Officer Peak Cap Artileri Code: 00100200211 Size: 5cm c 6cm Color: black (No. 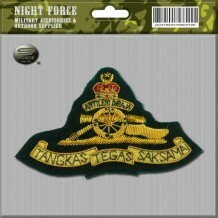 Tentera diperlukan) ..
Name: CAPBADGE Officer Peak Cap Kagat Code: 00100200241 Size: 5cm x 6cm Color: Black (No. 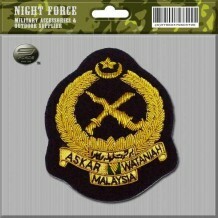 Tentera diperlukan) ..
Name: CAPBADGE Officer Peak Cap KKD Code: 00100200231 Size: 5cm x 6cm Color: Black (No. 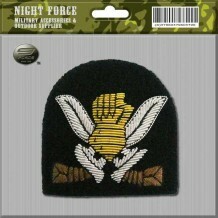 Tentera diperlukan) ..
Name: CAPBADGE Officer Peak Cap KPA Code: 00100200191 Size: 5cm x 6cm Color: Black (No. 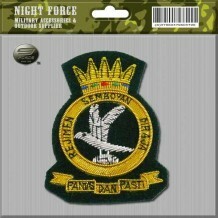 Tentera diperlukan) ..